Mich & Jo: Flower power part deux! 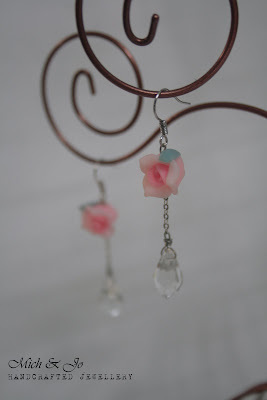 Pink rose with clear crystal bead. 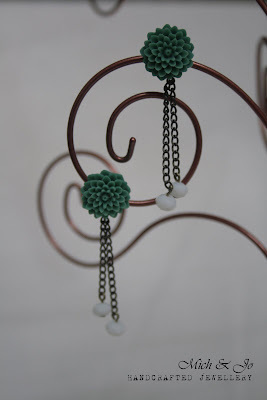 Teal chrysanthemums studs with white glass beads.